There’s little doubt that the starting trio of Doc, Cliff and Cole have played a major role in the team’s success. After all, they have combined for 28 of the team’s 51 wins. But, a trio of rookie pitchers have come up big, really big—Vance, Michael and Antonio. Wednesday night, this trio beat the Red Sox, 2-1, giving the Phillies their first series win against Boston since 2003. Red Sox had won eight straight series. Vance has stepped into the rotation for the injured Blanton/Roy-O, winning three of his four decisions. Since being recalled from Lehigh Valley on June 16, he has allowed just two earned runs in 18 innings. In eight of his nine major league starts, he has given up three earned runs or less. Michael and Antonio have been lights out in the pen, saving the club as Brad, Jose and Ryan have been on the DL and J. C. was let go. In two games now, the high-powered Boston offense has scored one run and that came on a double by a pitcher. Raul has had a strange first half of the season, cold in April, hot in May (club-high 19 RBI) and cold again this month….until last night. In seven previous games, he was batting .045 with one hit. Wednesday night he went 3-for-3 (needing a triple for a cycle) and drove in both runs. The RBI was his first since June 12 and his homer, the first since May 30. Phillies are 13-1 on Wednesdays . . . Lefties Cole and Jon Lester hook up in the series finale on Thursday afternoon. After the game, the Phillies head for Toronto and three 1:07 p.m. games this weekend . . . Phillies are 15-3 in last 19 home games . . . Win was Charlie’s 595th, putting him in third place behind Harry Wright (636) and Gene Mauch (645) . . . Phillies are 17-9 this month; starting pitchers, 13-7, with a 2.01 ERA. SS Brian Bocock hit two homers in a 7-5 Lehigh Valley loss at Buffalo . . . RHS Austin Hyatt (7-5) allowed 1 run in 6 innings as Reading edged Altoona, 2-1 . . . RHS Julio Rodriguez (8-6) allowed a two-out grand slam in the seventh inning and Clearwater lost, 4-2, to Brevard County. Until that inning, he had allowed just two hits; he finished with 11 strikeouts . . . LHR Mario Hollands (6-4) fanned 6 in 4.1 scoreless innings for the 7-2 win for Lakewood at Hagerstown . . . LHS Lino Martinez struck out 6 in 5 innings (1 unearned run) in earning his first win of the season, a 7-3 decision for Williamsport over Auburn . . . Gulf Coast League Phillies beat the Blue Jays, 5-4. LH Jim Birmingham (1-0) fanned 5 of the 6 batters he fanned and picked up the win. All-Stars: Hyatt and 1B Matt Rizzotti have been selected to the Eastern Division team for the July 13 Eastern League All-Star Game in New Hampshire. If Cliff (5-0, 0.27 ERA) isn’t the NL Pitcher of the Month for June, there needs to be an investigation by the U.S. Supreme Court. The highest scoring team in the American League came to town on Tuesday and all Cliff did was pile on zeroes, his third straight complete game shutout. Last Phillies pitcher to do that was Robin Roberts in 1950 (July 22-30). His scoreless streak is now 32 innings, longest for the Phillies since reliever Larry Andersen had 33 in 1984. So, Cliff finishes June allowing one run in 42 innings. That’s filthy. Oh, one more thing, he drove in a run but a pair of two-run homers, one from Domonic and the other from Shane, gave him a cushion. His five wins this month have been 3-1, 7-1, 3-0, 4-0, 5-0. Phillies top three starters now have 9, 9, 10 wins. Tuesday is the only day of the week in which the Phillies have a losing record, 3-9. Cliff owns one of those losses, May 31, 10-2, to Washington. That was his last defeat. Club record for consecutive shutouts is four by Grover Cleveland Alexander in 1911 . . . Phillies have 50 wins in 80 games. Last time they did that in 50 or fewer games was 1993, #50 coming in that club’s 71st game . . . Phillies ERA in interleague play is 6.64 . . . Win was Charlie’s 594th with the Phillies, putting him in a third-place tie with Danny Ozark . . . Of the seven relievers in the Phillies bullpen, five have pitched for Lehigh Valley this season . . . Phillies became the first team to reach 2 million in attendance. RHR Michael Schwimer recorded his 4th save in Lehigh Valley’s 6-3 win at Buffalo . . . CF Derrick Mitchell’s 3-run homer (#13) capped a 6-run ninth that lifted Reading to a 9-7 win at Altoona . . . RHS Jonathan Pettibone (7-5) took the loss in Clearwater’s 7-1 defeat at Lakeland . . . Lakewood lost, 4-3, in 14 innings at Hagerstown. RHR Chase Johnson fanned 4 in 4 hitless, scoreless innings . . . Williamsport lost its second straight in Auburn, 6-1. They’ve been outscored 19-9 in the 2 games . . . With 6 different players getting 2 hits each, the Gulf Coast League Phillies coasted to a 9-2 win against the Pirates. 1916: The Chicago Cubs and Cincinnati Reds played a nine-inning game with just one baseball. That’s very hard to believe. 1987: In the first game of Philadelphia’s doubleheader sweep of Pittsburgh, Steve Bedrosian records his twelfth consecutive save (in twelve appearances) to break the major-league record set by Sparky Lyle in 1975. Phillies have the best record in the majors; Red Sox, best in the American League and they meet for a three-game series starting Tuesday night. Citizens Bank Park will be jumping. Cliff is coming off two straight shutouts and has allowed one run in his last 33 innings. He starts Tuesday night against Josh Beckett whose 1.86 ERA is the best in the universe. Phillies team ERA is 3.05, lowest in the NL. Red Sox lead the AL in runs scored (409) and batting average (.277). The Phillies are seventh in runs scored (320); the Red Sox ninth in staff ERA (3.97). The Major League Baseball Network is carrying Tuesday’s night game and Thursday’s day game. ESPN will televise Wednesday night’s game nationally. Of course all games can be seen and/or heard on MLB.com. Since interleague play began in 1997, the two teams have met 43 times. By the end of the series, the Phillies will have played the most interleague games against Boston, passing the Orioles (45). Boston has the upper hand, 26-13; 13-7 at Fenway and 13-6 in Philly. The Red Sox have a 23-16 road record; the Phillies have the NL’s most home wins, 30-13. Phillies Insider ranked 26th among MLB Pro blogs last month. Appreciate everyone checking in. CF John Mayberry and INF Josh Barfield drove in 2 runs each as Lehigh Valley was a 6-1 winner over Charlotte . . . RHS J. C. Ramirez (6-7) allowed 1 run in 6 innings as Reading ended a 3-game losing streak with a 3-1 win in Altoona. LH Joe Savery pitched 2 scoreless innings, his first stint on the mound this season after switching to 1B-DH . . . 6 different batters had 2 hits each as Clearwater snapped a 3-game losing streak, 4-2 at Lakeland . . . RF Zach Collier had 3 hits and stole his 23rd base but Lakewood bowed, 5-2, at Hagerstown, ending a 3-game winning streak . . . Williamsport also saw a 3-game win streak end, 13-8, at Auburn . . . Gulf Coast League Phillies were suspended in the bottom of the 2nd by rain. Pitching dominated the weekend reunion of the A’s and Phillies. Each team scored a total of five runs but the Phillies came away with two wins out of the three, winning 1-0 and 3-1. Of the six starting pitchers in the series, only Josh Outman gave up more than two runs (three in six innings on Sunday). From Elias Sports Bureau: Doc improved his record to 31-13 in 50 career starts for the Phillies with a complete-game victory on Sunday. He became the fourth pitcher in franchise history to win more than 30 of his first 50 starts for the Phillies: Schoolboy Rowe (32-13, 1943-1947), Wiley Piatt (31-18, 1898-1899) and Steve Carlton (31-14, 1972-1973). Only two other active pitchers won more than 30 of their first 50 starts for one particular team. Roy-O did it for the Astros (31-8, 2001-2002) as did Chris Carpenter for the Cardinals (31-9, 2004-2005). Day off on Monday sets the stage for a big series against the Boston Red Sox that starts Tuesday night with a classic pitching duel, Cliff vs. Josh Beckett. Thanks to a reader for pointing out interleague play began in 1987 and not 1997 as I had posted on Friday. Sometimes my middle name is Typo! Managers: Terry Francona (Red Sox), Brad Mills (Astros), Ron Roenicke (Brewers), Davey Johnson (Nationals). Coaches: Tom Foley (Rays), Mike Maddux (Rangers), John Russell (Orioles), Dwayne Murphy (Blue Jays), Ivan DeJesus (Cubs), Bob Dernier (Cubs), Bill Hatcher (Reds), Jim Wright (Rockies), Davey Lopes (Dodgers), Ken Howell (Dodgers), Dale Sveum (Brewers), Dan Warthen (Mets), Pete Mackanin (Phillies), Juan Samuel (Phillies), Greg Gross (Phillies), Nick Leyva (Pirates), Randy Ready (Padres), Darrell Akerfelds (Padres), Steve Smith (Indians). Scouting: Todd Frohwirth (Orioles), Tim Corcoran (Angels), Gene Schall (Phillies), Eric Valent (Phillies), Del Unser (Phillies), John Stearns (Mariners). RHR Michael Schwimer (4-0) hurled 2 scoreless innings on Sunday to pick up a Lehigh Valley win which ended a 5-game losing streak. Since June 15, there have been 18 transactions for the IronPigs . . . Reading was swept in a 3-game series in Akron . . . Clearwater also lost 3 in a row . . . Lakewood won all 3 against Delmarva giving the BlueClaws a 3-1 start in the second half . . . Williamsport won all 3 on the heels of losing 5 in a row . . . Gulf Coast League Phillies split 2 games against the Yankees (League does not play on Sundays). After being held to one run and 11 hits in two games by Doc and Cliff, the Cardinals offense came to life to salvage the final game of a three-game series on Thursday night. St. Louis leads the league in hitting and runs scored. Roy-O struggled with back pain and gave up four runs before departing after two innings. He’ll have an MRI on Monday. Whether or not he’ll return to the DL will be determined next week. But, the once mighty five-man rotation is down to three with Blanton and Roy-O hurting. Vance and Kyle will need to step up. So, the Phillies ended the road trip at 3-3. Friday night starts six home games against the American League, three each with the A’s and Red Sox. Phillies have won nine of their last 11 home games. For the A’s, they are returning to their roots, having played in Philadelphia since their inception in 1901 through 1954. While both the A’s and Phillies were in the city, the two teams met in exhibition games. For years, there was a City Series before the season in Shibe Park. Through interleague play which began in 1987, the Phillies and A’s have met three times. Oakland owns a 5-4 edge, 4-2 in two visits to the Oakland Coliseum. The Phillies won two of three in 2003, the final season at Veterans Stadium. Thus, the A’s are making their first Citizens Bank Park visit. On Sunday, the Philadelphia Athletics Historical Society will have a display in Ashburn Alley outside the Mitchell & Ness Alley Store. The display will feature A’s memorabilia and include literature pertaining to the A’s society. 85-year-old Bobby Shantz, a left-handed pitcher who won the American League MVP Award in 1952 after a 24-7 season, will throw out the first ball on Sunday. Lehigh Valley fell to Indianapolis, the 3rd straight loss for the IronPigs . . . C Tuffy Gosewisch hit his 7th homer, a grand slam (second this season) to help Reading end a 7-game losing stgreak, 10-3, over Erie . . . 1B Jonathan Singleton homered twice to back RHS Jonathan Pettibone (7-4), a 6-5 winner over Daytona, ending Clearwater’s losing streak at four in a row . . . Lakewood was held to 3 hits in losing, 3-0, to Delmarva in the first game of the second half . . . Williamsport dropped its 5th straight, 2-1, to Batavia . . . LF Jorge Castillo hit a three-run homer and 1B Chris Duffy added a solo homer in the Gulf Coast League’s 8-7 win over the Braves. Two Clearwater players, RHS Jarred Cosart (US Team) and C Sebastian Valle (World Team), have been selected for the Futures Game that will be played on July 12 as part of Taco Bell All-Star Sunday in Phoenix. Cliff continued his masterful pitching Wednesday night in St. Louis. He improved to 4-0 this month with his second straight shutout (23 consecutive scoreless innings now). He’s allowed one run in his last 33 innings for an unheard of 0.27 ERA. According to Elias Sports Bureau: The last major-league pitcher to throw 33 or more innings while allowing no more than one run over a four-start span was Roy Oswalt the 2008 Astros. The only other Phillies pitcher to do so over the last 20 years was Randy Wolf in 2002. With one more start this month, he’s the leading candidate for NL Pitcher of the Month. Last Phillies pitcher to win such as honor was Doc last July. Series ends Thursday night and then the Phillies head home for a six-game, interleague homestand, three each with the A’s and Red Sox. Cliff’s shutout was the 10th for the staff this season. They’ve got a long way to go to match the club record of 26 set in 1916. Hall of Famer Grover Cleveland Alexander had 16 of those 26, a single-season record that will never be broken in Phillies history. 1932: The National League, in a meeting with club presidents, finally approves players wearing uniform numbers. The AL started in 1929. 1963: Jimmy Piersall of the Mets hits his 100th career home run and celebrates by running the bases backward to the anger of Phillies pitcher Dallas Green. 1971: Rick Wise becomes the first pitcher to hit two home runs while pitching a no-hitter, 4-0, at Cincinnati. CF John Mayberry had a single, double, 2nd home run, 3 RBI and a stolen bases in Lehigh Valley’s 10-5 loss to Indianapolis . . . Reading dropped its 7th straight, 3-1, to Erie . . . RHS Trevor May tied his career high with 14 strikeouts (7 innings, 1 hit, 0 runs) in a Clearwater game that wound up suspended because of rain, 2-2, after 10 innings . . . Williamsport lost its 4th in a row, 11-7, at Jamestown . . . Gulf Coast League Phillies bowed, 8-6, to the Braves. For seven innings, the offense crept along, scoring one run on Tuesday night. For the second straight game, a Phillies starter had a chance to win his 10th game but the offense produced just one while Cole and Doc were on the mound in those games. Then came a 43-minute eighth-inning. Taking advantage of five St. Louis relievers and their wildness (5 walks, 2 hit batters, 90 total pitches), the Phillies scored nine times. A 2-1 deficit became a laugher. Stutes wound up with his second big league win, both coming on this six-game journey to Seattle and St. Louis. Phillies record for the biggest eighth inning came on September 22, 1999 at Milwaukee, 11. CF John Mayberr Jr. had a single, double, stolen base in Lehigh Valley’s 2-0 loss to Indianapolis . . . SS Freddy Galvis had his second straight 2-hit game but Reading lost its sixth in a row, 4-1, to Erie . . . 1B Jonathan Singleton, single, double, 4th home run in Clearwater’s 11-9 loss to Tampa . . . RF Kelly Dugan had 3 hits in Williamsport’s 4-3 defeat at Jamestown . . . CF Peter Lavan, single, 2 doubles and 4 RBI as the Gulf Coast League Phillies won their second in a row over the Tigers, 8-2. All-Star Game: Five Lakewood BlueClaws played in the South Atlantic League All-Star Game in Salisbury, MD: 1B Jim Murphy, 1-2, 1 RBI; DH Anthony Hewitt, 1-2; RHS David Buchanan, 1 scoreless inning, 2 strikeouts; RHS Lisalverto Bonilla, 1.1 inning, 1 run, 2 hits and RHS Garet Claypool, 1 inning, 2 strikeouts. Three games in St. Louis, minus Albert Pujols, starts on Tuesday night, the end of a six-game road trip in which the Phillies are 1-2. 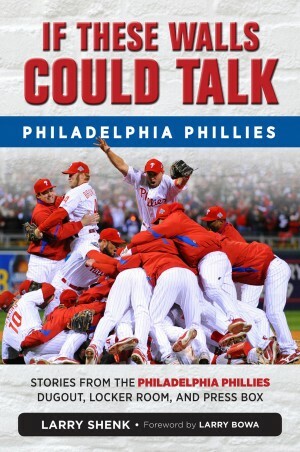 Phillies are 17-16 on the road, but have lost 11 of their last 16, mainly because of a silent offense. Shane is hot right now and has taken over the club lead in batting average. Polly is on a down cycle, which happens. He’ll get it going again. Executives: Ruben Amaro Jr. (Phillies GM), Bob Boone (Nationals Asst. GM & VP Player Development), Scott Reid (Tigers VP, Player Personnel). Special Assistants/Assignments: Jim Fregosi (Braves), Dave Hollins (Phillies), Joe Lefebvre (Giants), Chuck Cottier (Nationals), Pat Corrales (Nationals), Ruben Amaro Sr. (Astros), Lee Elia (Braves), Jeff Conine (Marlins), Gary Sutherland (Angels), Davey Johnson (Nationals), Jim Davenport (Giants). Reliever Andrew Carpenter (5-0) turned in two more scoreless innings to pick up the 4-3 Lehigh Valley win over Indianapolis . . . 1B Matt Rizzotti (13) and CF Derrick Mitchell (12) homered but Reading dropped a 5-4, 12-inning decision to Erie . . . C Sebastian Valle (.354) returned from the DL (sprained right thumb) but Clearwater started the second half with a 10-3 loss to Tampa . . . Williamsport fell to 2-2 with a 7-1 loss at Jamestown . . . Gulf Coast League Phillies opened their season with a 6-5 win over the Tigers. DH Bernardo Solatre hit a 3-run homer. 1964 – On Father’s Day at Shea Stadium, Phillies RHP Jim Bunning pitches the first perfect game (excluding Don Larsen’s 1956 World Series effort and Harvey Haddix’s 1959 extra-inning loss) since Charlie Robertson’s on April 30, 1922. He also becomes the first pitcher to win no-hitters in both leagues and drives in 2 runs as Philadelphia beats the Mets 6-0. Gus Triandos becomes the first catcher to catch a no-hitter in each league. The Mets don’t fare much better in the nightcap as rookie Rick Wise wins his first game and gives up just 3 hits for an 8-2 win. As interleague continues for everyone else, the Phillies are in St. Louis for a National League three-game series that begins Tuesday night. Wednesday night’s game is on ESPN; Thursday afternoon, the MLB Network. Seattle improved to 7-2 against the Phillies by taking two of three over the weekend. Hopefully, we won’t be playing them again for a few years. Matter of fact, it would be alright if we stayed out of ballparks from the AL West. Why? 6-12 record. Nine more interleague games out of the next 12, three each in Citizens Bank Park (Red Sox and A’s) and three in Toronto. We’re 7-5 in Rogers Centre. Since interleague play began in 1997, the Phillies haven’t fared too well. It doesn’t matter if it is at home (55-67) or the road (54-65). Phillies are now 17-16 on the road this season, one of our teams to have a winning record at home and away. The others: Red Sox, Yankees and Braves. Lehigh Valley lost two of three at Pawtucket but remains in first place . . . Reading was swept in three games by New Britain . . . Clearwater hosted the Florida State League All-Star Game on Saturday night . . . Lakewood dropped three at West Virginia despite three home runs by 1B Jim Murphy (#15-16-17) . . . Mickey Morandini made his debut as a manager as Williamsport won two home games against State College before losing in State College on Sunday. The North won the FSL All-Star Game, 5-3. Four of Clearwater’s starters pitched a scoreless inning, Jonathan Pettibone, Jarred Cosart, Trevor May and Julio Rodriguez. May picked up the win. South Atlantic League All-Star Game will be played Tuesday night in Salisbury, MD. Five Lakewood players are on the North team: 1B Jim Murphy, OF Anthony Hewitt, RHS David Buchanan, RHS Garet Claypool and RHS Lisalverto Bonilla. Murphy and Hewitt will participate in the home run derby prior to the game. Cliff turned in another brilliant pitching performance on Thursday afternoon as the Phillies finished a four-game sweep of the Marlins. As everyone knows, he threw a 2-hit, 3-0 shutout and drove in the first run with a booming double. But, one has to wonder if any pitcher was more dominating in the history of homestands. The Phillies seventh straight win capped a 9-2, 10-day funstand at Citizens Bank Park. Cliff won three of those games and posted a 0.38 ERA. Repeat, a 0.38 ERA. Heck he drove in as many runs in Thursday’s game as he allowed in his three wins, one. This from Elias Sports Bureau: Lee was the first Phillies pitcher to allow two or fewer hits in a shutout performance while stroking a pair of hits with the bat since Steve Carlton did it against the Cubs at Veterans Stadium on October 1, 1980. The long ball returned to the offense in the 11 games. J-Roll hit three homers and drove in 10; Ryan, three homers and 11 RBI; Chase, two homers, nine RBI. Shane had the most hits (15) and highest average (.349). That’s balance, folks. Thursdays win boosted the team’s record when they score three runs or less to 14-23. When they score more than three, a frightening 30-3. In eight of their nine wins, they topped three runs. When the offense matches the starting pitching, it is scary. Thursday’s game is over, followed by a five and one-half hour flight to Seattle and a three-game weekend series against the Mariners and then three games starting Tuesday in St. Louis. In interleague play this year, the Phillies are 2-1 (Rangers). In interleague play against the Mariners, the Phillies are 1-5, 1-2 in Seattle. So, put away the joy stick. There’s work to be done. When the Phillies play on the road, enemy ballparks often resemble a sea of red. Phillies fans flock to see their team. It will be interesting to see how many fans the Phillies have in the great northwest. We know there is a group of 75 on the first Phillies Road Trip for this weekend. Co-hosts are Greg Luzinski and Scott Palmer. The trip is sold out as are the three others coming up, Toronto, Washington, DC and Chicago. Lehigh Valley hit three home runs but lost, 6-5, in 10 innings at Pawtucket . . . Reading also hit three home runs in a one-run loss, 8-7, at Bowie . . . Clearwater ended the first half with a 5-3 defeat at Dunedin . . . RF Anthony Hewitt had 3 hits, 2 steals but Lakewood dropped a 4-3 decision at West Virginia. 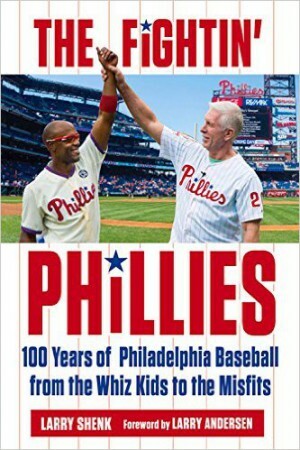 Fans living in the Philadelphia area wanting to see some Phillies baseball can visit Reading where the those Phillies are home to New Britain. Or, you can drive to Williamsport for manager Mickey Morandini’s debut as the Crosscutters start their season with home games Friday night and Saturday night against State College. If you want to drive to Seattle to see the big league Phillies, you should have left a couple of days ago.